In the United States, the average cost of a data breach is over $7 million. Organizations have many points of vulnerability, and each presents a unique challenge in defending against cybercrime. 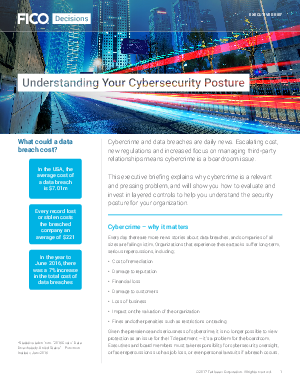 We also introduce the concept of cybersecurity scoring and how analytics can help you fight cybercrime, demonstrate your best practices to customers and risk underwriters, respond rapidly to emerging threats and continually improve your defenses.